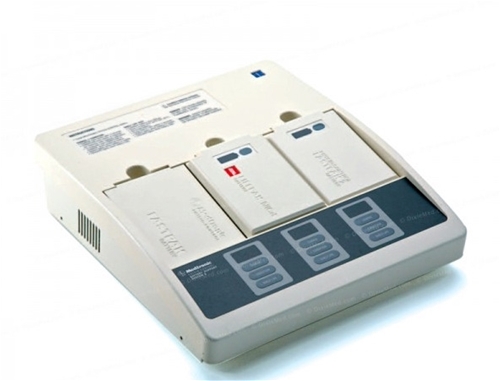 Features The Battery Support System II from Physio Control significantly increases battery performance for all LifePak defibrillator units that use the FastPak battery or SLA Batteries by Medtronic Physio-Control. For LifePak 12, LifePak 11, and LifePak 10 Transport Defibrillators. Innovative platform design provides ease of use and the flexibility to add new features and enhancements to support future battery technologies. The push-button fuel gauge in FASTPAK 2 and LIFEPAK NiCd batteries provides a quick and easy check of the battery capacity. 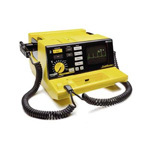 The high-capacity LIFEPAK NiCd battery makes it ideal for use with multiparameter monitoring. In addition, LIFEPAK NiCd engages the battery capacity symbols on the LIFEPAK 12 device screen to provide a clear indication of its charge level. The LIFEPAK SLA battery is well-suited for the low-use environment.